Description: New aftermarket Acer tablet ac power adapter charger. 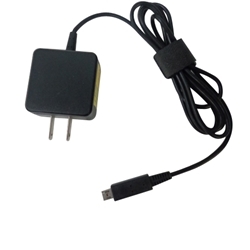 This power adapter is used with select Acer tablets and is 18 watts, 12V, 1.5A. Compatible Part #'s: KP.01801.001, KP.01801.002, KP.01807.001, AP.01807.001, AP.01801.002, X0.ADT0A.001, GFP121T-1215, ADP-18TB A.